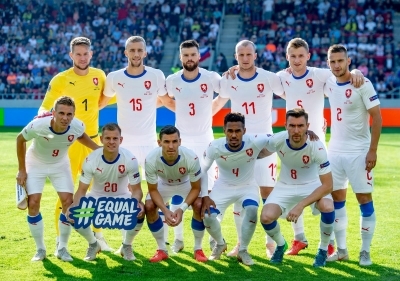 Ondřej Čelůstka has won his fifth cap for the Czech Republic on 13 October 2018, the new coach Jaroslav Šilhavý named him into his starting XI for the UEFA Nations League against Slovakia! And it was a great game, the Czechs won 2-1 and earned the first three points in the competition! Slovakia : Dúbravka – Pekarík (46. Sabo), Škriniar, Škrtel, Hubočan (80. Hancko) – Lobotka, Hamšík – Kucka (54. Weiss), Duda, Mak – Nemec. Czech Republic: Vaclík – Kadeřábek (63. Novák), Čelůstka, Brabec, Gebre Selassie – Souček, Pavelka – Vydra (89. Jankto), Dočkal, Zmrhal – Krmenčík (73. Schick).